2014 J-Pop Summit Announces First Guest of Honor! San Francisco’s annual celebration of Japanese pop culture, music, fashion and film, the 2014 J-Pop Summit Festival, returns over the weekend of Saturday and Sunday, July 19th and 20th. Rock singer May’n is this year’s first official Guest of Honor. An expanded program of events is also being planned with updates being posted at www.JPOP.com. For more, check out the press release after the jump. San Francisco, CA, April 29, 2014 – The 2014 J-POP SUMMIT Festival, San Francisco’s annual celebration of Japanese pop culture, music, fashion and film, returns over the weekend of Saturday and Sunday, July 19th and 20th with a unique mix of colorful pop-inspired fun. This year’s exciting program leads off with the announcement of world renowned Japanese rock singer – May’n – as an official Guest of Honor. Additional top tier J-Pop/J-Rock/Kawaii artists, events and other programming will be detailed in coming weeks. An exciting roster is being finalized that promises to be the most extensive and diverse the J-POP SUMMIT Festival has ever presented. Details on the 2014 J-POP SUMMIT Festival are continually updated at: www.J-POP.com. The annual J-POP SUMMIT is FREE to attend (although certain activities require a modest admission fee) and has become one of the largest events in the United States dedicated to showcasing the many sides of Japanese pop culture and fandom. Attendance in 2013 exceeded 80,000 people. The 2014 J-POP SUMMIT takes place from 11:00am to 6:00pm throughout San Francisco’s entire Japantown district on July 19th and 20th and also will present a special free J-Pop/J-Rock concert in the city’s downtown Union Square on the evening of Saturday, July 19th. Japanese pop/rock/anime star May’n (pronounced “Main”) is known as the singing voice of Diva of the Galaxy Sheryl Nome from the blockbuster anime film, Macross Frontier, and also performed theme songs for numerous popular series such as, Accel World, Aria: The Scarlet Ammo, Shangri-La, Inari, Konkon, Koi Iroha, Blood Lad, Btooom and M3: Sono Kuroki Hagane. Her powerful rock and pop vocal style has drawn critical acclaim and legions of fans. May’n sold-out Tokyo’s legendary Budokan in a single day and first performed in San Francisco for her “May’n Rock Your Beats” World Tour in 2012. She returns to the Bay Area for her very special J-POP SUMMIT live appearance as part of her 10th Anniversary "Dots and Lines" World Tour. May’n debuted with a pair of singles in 2008 that instantly became smash hits, each placing in the Top 3 on the Japanese Oricon weekly music charts during their debut week. In January 2009, her debut mini album, May’n?Street, was released and reached #2 on the Oricon chart during its first week. All of May’n’s subsequent singles have entered the top music sales charts in Japan and as her international fame continues to grow, she epitomizes the must-see New Generation Japanese Female Rock Vocalist. 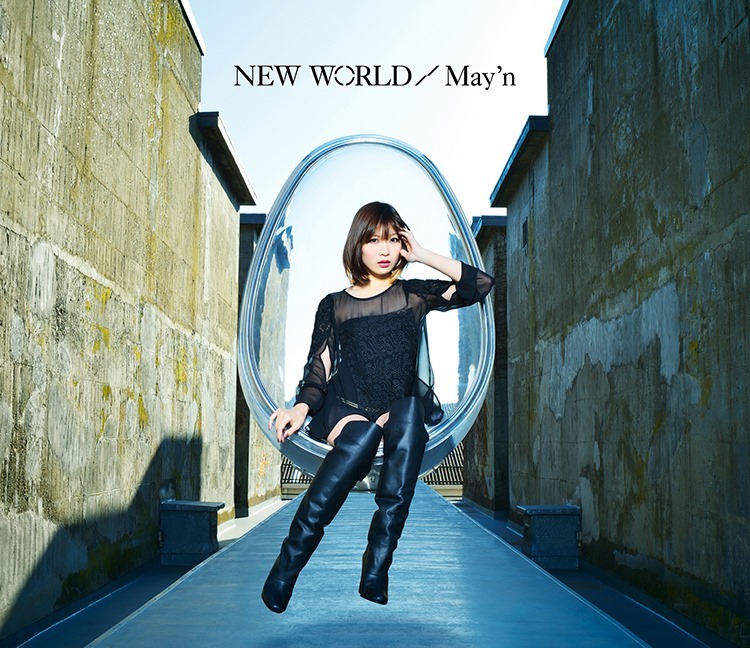 Official May’n Website: http://mayn.jp/en/; Official May’n YouTube Channel: http://www.youtube.com/user/MaynOfficial. The 2014 J-POP SUMMIT Festival will deliver a wide array of Japan’s hottest live bands and artists, theatrical film premieres, Harajuku Kawaii-themed fashion events, a special sake-tasting and fine foods attraction at the POP Gourmet Food Festival, in addition to dance and singing contests, interactive gaming, and a host of celebrity appearances. The Festival also presents a FREE Union Square Live concert in downtown San Francisco and celebrates the launch of 2nd annual Japan Film Festival of San Francisco, which takes place July 19th-27th at the NEW PEOPLE Cinema. The week-long film festival will be highlighted by red carpet events featuring appearances by additional Guests of Honor and daily theatrical premieres of many first-run anime as well as Japanese live-action movies across a variety of genres. Additional information will be updated in coming weeks on the official website: www.jffsf.org. Stay tuned for additional J-POP SUMMIT Guest of Honor, programming and event announcements! Launched in 2009, J-POP SUMMIT Festival is an annual street fair held in San Francisco, CA that celebrates Japanese popular culture. By introducing the latest in Japanese music, film, art, fashion, gaming, anime, food, as well as niche subcultures, the festival has become a prominent platform to showcase the latest pop trends and creative innovations from Japan. The 5th annual J-POP SUMMIT held July 2013 welcomed more than 80,000 attendees, making it one of the largest Japanese festivals in the United States. In addition to the original Festival held in Japantown, new attractions include the Union Square Live concert in downtown San Francisco, the Bay Area’s very first Japan Film Festival of San Francisco, and sake-tasting and fine foods events at the POP GOURMET Food Festival, which have each further enriched the experience. Additional information about J-POP SUMMIT Festival is available at: J-POP.com. Previous PostHunterX Hunter Returns to Weekly Shonen Jump!Next PostSyfy Adapting Oni Press Sci-Fi Thriller Letter 44!